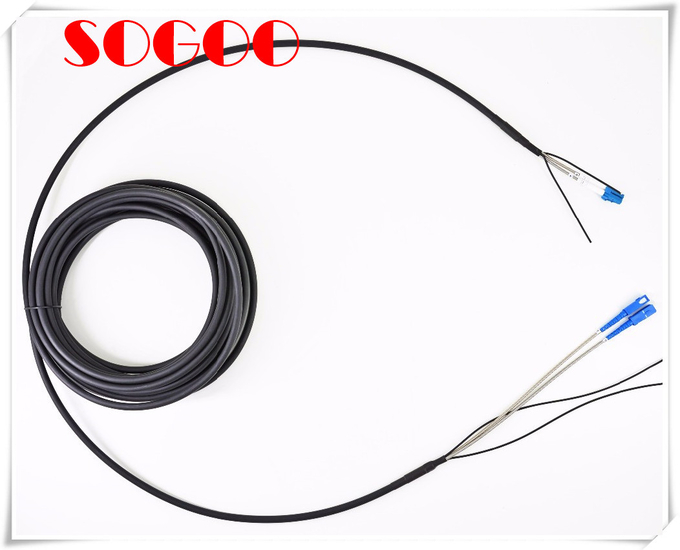 Low insertion/return loss, steady optical transmitting. Light weight, waterproof, dustproof, moisture proof, Metal hard housing. FC stands for Fixed Connection. It is fixed by way of threaded barrel housing. FC connectors are generally constructed with a metal housing and are nickel-plated. LC patch cord is a fiber optic cable used to attach one device to another for signal routing. LC stands for Lucent Connector. 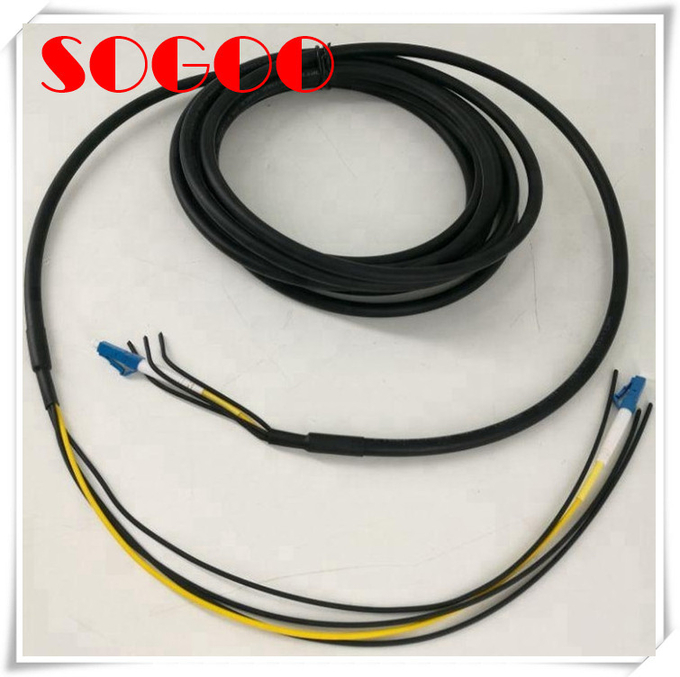 It is a small form-factor fiber optic connector, half the size of the SC. UPC stands for Ultra Physical Contact.The end faces are given an extended polishing for a better surface finish. These connectors are often used in digital, CATV, and telephony systems. APC stands for Angled Physical Contact The end faces are still curved, but they’re angled at an industry-standard eight degrees. This maintains a tight connection. These connectors are preferred for CATV and analogue systems. 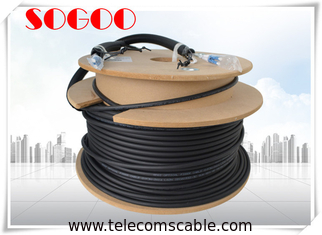 Look forward to your inquiry on Outdoor LC-LC Black Fiber cable 75m 60m,45m, 40m, 10m outdoor fiber patch cord.